It rains because Bali is a tropical island, and these are 10 Things to do in Bali When It Rains. 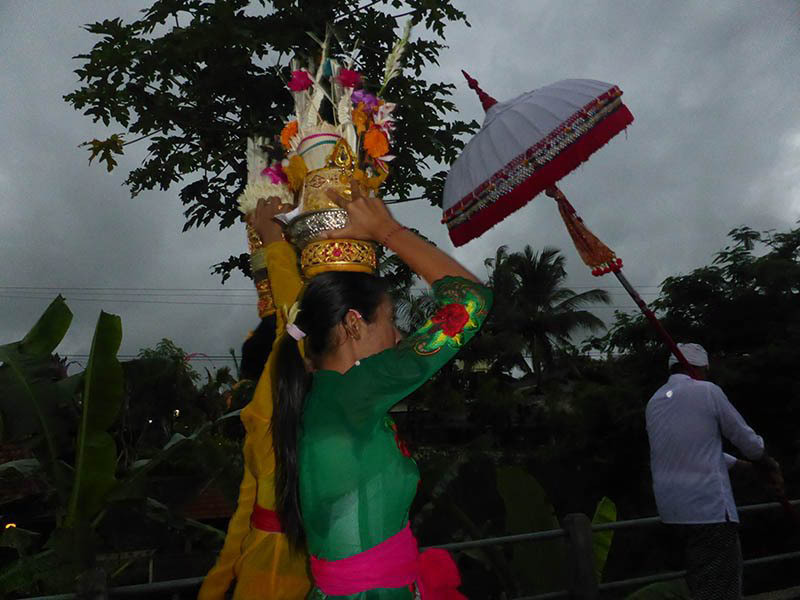 Every year in Bali, between December and April, is the rainy season. Bali is approximately 8 degrees south of the equator. It is to be expected that Bali has a tropical, warm and humid climate all year round but there are two main distinctive seasons, the dry season and the rainy season. So why come to Bali in the rainy season? 0.1 So why come to Bali in the rainy season? Many people still choose to come to Bali in December, January, and February, the rainiest months, though no matter when you come you are likely get a tropical downpour. Australians travel to Bali in these periods because it is the six weeks of summer school holidays. It is 3hrs from Perth and 7 hrs from Sydney, making Bali and easy place to vacation. Consequently, despite the rainy and wet days, it is the high season period in Bali. There has also been an increase in Europeans and Americans visitors choosing to vacation in Bali at this time, to escape the harsh winters. Make sure you know the etiquette when visiting the island of Bali. Here is a list of do’s and don’ts when you visit Bali. So, what do you do in Bali on a rainy day? Having been here during these months experienced the deluges, which don’t always last that long, we share our rainy days in Bali insights with you. 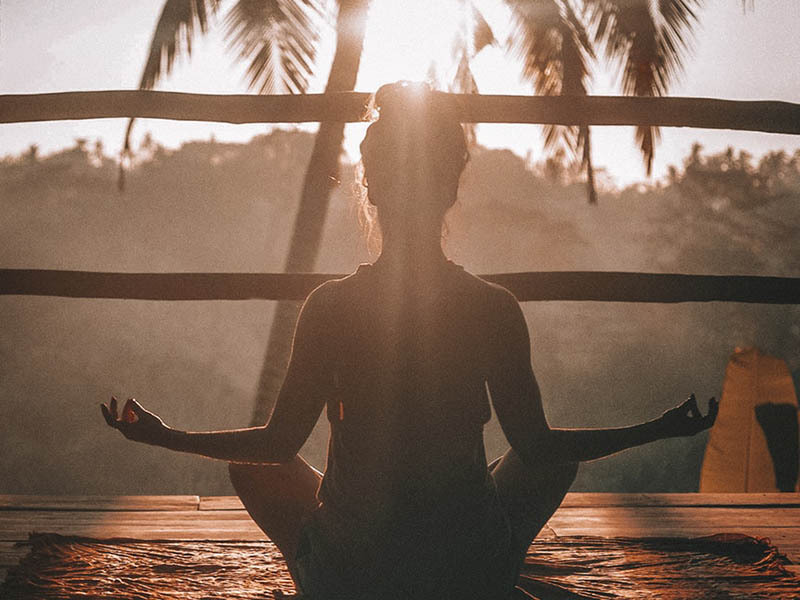 Start your days with some yoga, fill the days with activities, and finish your rainy days in Bali with a cocktail or two at some of the iconic Balinese Beach Clubs, and bars. Bali has become a known destination for health and well-being. Yoga is huge in many areas of Bali, mainly the mountain village of Ubud, and the surfing capital of Canggu. You should start your rainy day in Bali, by doing a yoga class. The Yoga Barn is located in the heart of Ubud and offers 11 classes every day. They have traditional yoga styles of Classical Hatha, Iyengar and more. 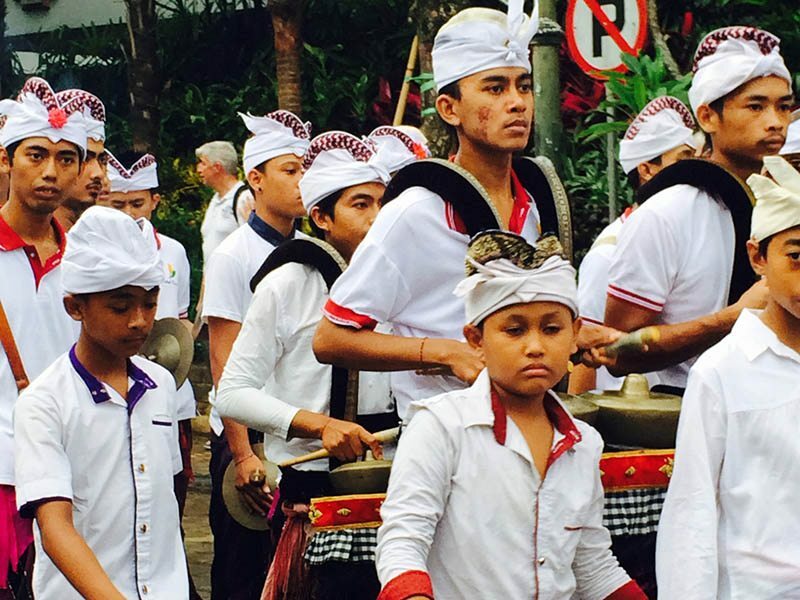 You might also like to read Has Ubud Bali changed since That Book and That Movie? If you are in Canggu, Samadi Bali, this yoga studio offers yoga classes for all levels and abilities. 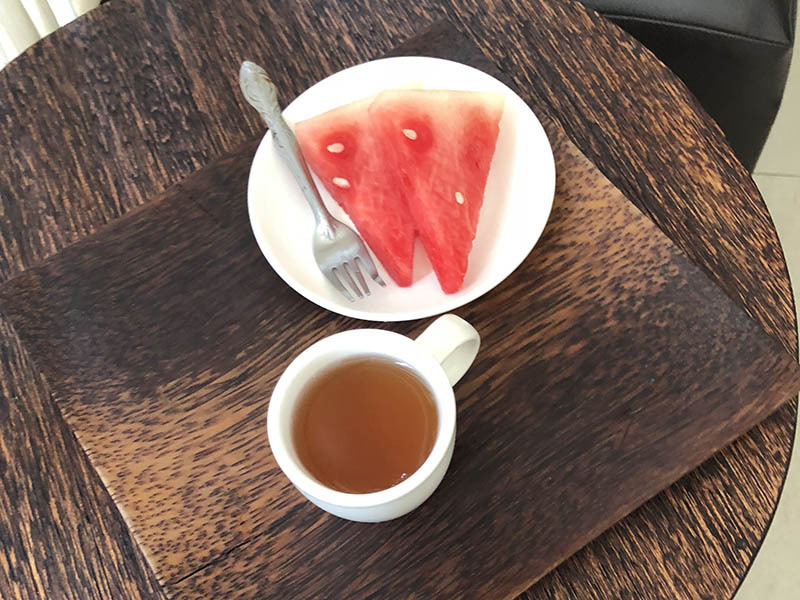 When in Seminyak you have some options like Seminyak Yoga Shala and the perennially popular Jiwa Bikram Yoga, close to the shopping precincts and beach clubs in Seminyak. You have done the yoga; now you need that massage. Bali and massages go hand in hand. You cannot go to Bali, despite any weather condition, without having a massage, and preferably one every day. Balinese massages vary in both quality and cost, from your $5 foot massage to a fish foot pedicure; to your more opulent experiences, at a heftier price tag. You have so many choices for massages in Bali, that it would be remiss not to have quite a few on a rainy day in Bali. Hang on, even if this sun is shining massages in Bali are a daily ritual. Having tried many of the street massages and the resort massages, sometimes there is little difference, and sometimes a big difference. I am going to recommend two that we love. Insultingly cheap is De Nyuh Spa & Beauty Salon Seminyak, above Grandma’s Hostel, where you can get a one-hour Balinese massage for $9.50AU, or $7.60US. The Spa & Beauty Salon is immaculately clean, and the massages are amazing. Head down to Jiwa Spa at Conrad Bali in Nusa Dua, pay a fair bit more, but they are also very very good. Head to the hillside arty Village of Ubud. Our Pure Balinese Massage in Ubud was very special. 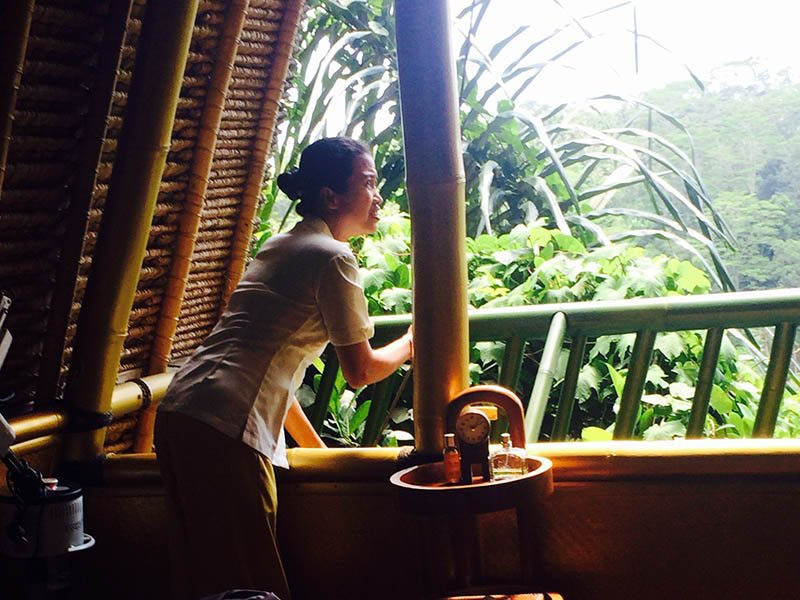 We went to The Mango Tree Spa by L’Occitane in Kupu Barong Villas, Ubud. It is literally a tree house overlooking the Agung River. This is scenery at its best and having a massage in a tree house meets our unique criteria. I think that the Balinese massage is different to Thai and other massages that we have had around the world. They use a long and languorous stroke. The massages must have been very good as we both drifted off to sleep to the sounds of the birds and the river gurgling far below. You have done the yoga, had a massage and now you need to do some Balinese retail therapy. Bali is a haven for shopping. 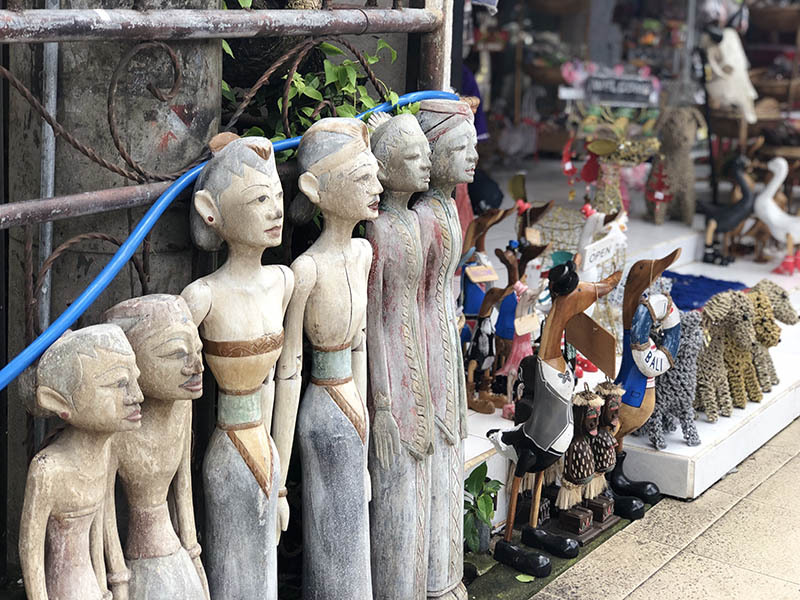 From street stalls where you haggle over a dollar or two, because that is part of the Balinese way of doing things, to high-end boutiques, you will find virtually everything. The best shopping malls can be found at Kuta Beachwalk and the Discovery Shopping mall and Seminyak Village. You will find unique designer items, particularly in Seminyak and Ubud. Kuta Beachwalk includes a massive shopping, dining, and entertainment precinct with many designer labels. Over three levels there are luxury brands including Victoria Secret, Armani Jeans, and Tommy Hilfiger. Discovery Shopping Mall is 10 minutes from the airport and has a wide range of brands. Your dining needs are catered for from fast food to high-end dining. One of the best value shopping places, is Krisna Bali, a One stop shop for souvenirs, oleh oleh, clothing and more. Just head to Jl. 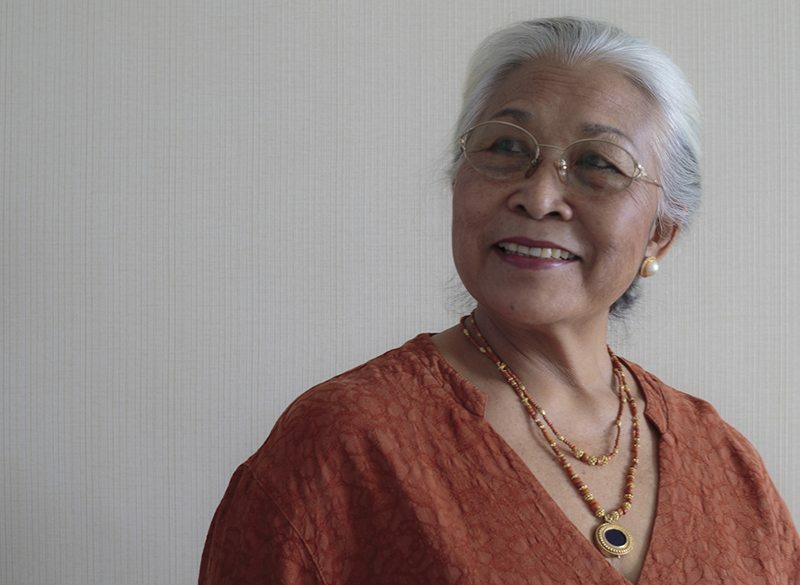 Nusa Indah no. 77, with your Indonesian rupiah ready, and as with everything in Bali, be prepared to haggle, but don’t be unreasonable. You have done the yoga, had a massage, spent some money, and as an aside supported the local economy – so well done you. It is still raining, but so what? 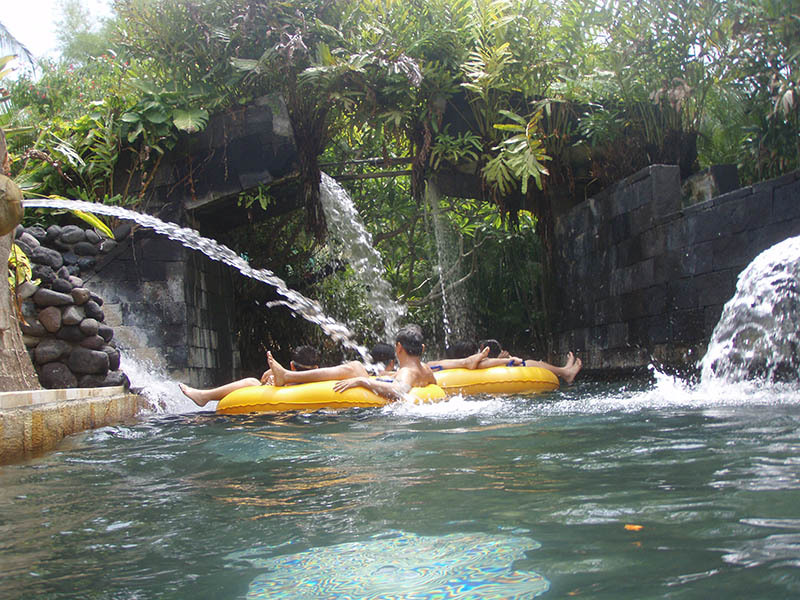 You feel virtuous, and now you have some options for activities to do in Bali if it is raining. Food is an integral way of life in Bali. If it is raining in Bali, there is nothing better than sitting undercover and watching a tropical downpour. Try La Laguna in Canggu, or Metis in Kerobokan for a French Mediterranean, fine-dining experience. A local warung ( a local cafe in Balinese) with cheap and delicious food is Cendana Cafe in Seminyak. Ironically it is next to the 5 star Anantara Seminyak Bali Resort, one of the luxury resorts in Bali, yet poles apart. 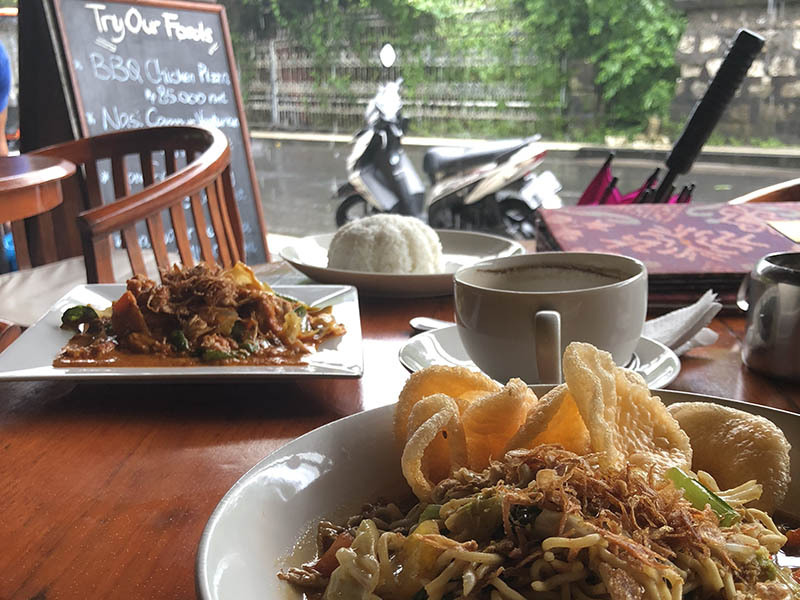 Cendana is a chilled back place with fantastic food, and an excellent vantage point to watch wet passersby while having a local beer, a Bintang, and eating Mie TekTek Istimewa and Kare Ayam, followed by a Balinese coffee. You should do a cooking class in Bali. Cooking classes are very popular all over Bali. 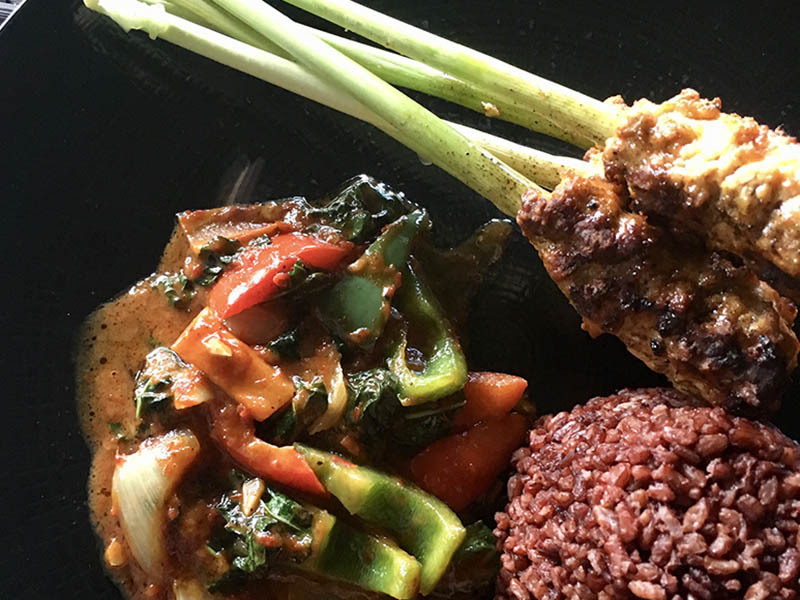 Balinese cuisine is unique, and cooking classes are an excellent way to understand more about the Balinese culture. You are wet anyway so why not go on the Seawalker Tour in Sanur Bali. Here you actually walk on the bottom of the ocean. Seawalker is located at Sanur Beach, one of the richest reefs surrounding Bali. Shoals of reef fish, pass your helmet, close enough for you to touch. With the unique helmet design, you can get face to face with the sea life and be able to take a breath, just like you would do on the surface – you do not even have to get your hair wet, and you can still wear your glasses or contact lenses. If you are in Ubud, head to the world’s organic vegan cinema, Paradiso Ubud which is open for daily movie screenings, and you can eat healthy food. The theatre is also to many other cultural activities when movies are not being screened. Bali has many museums, which helps you to understand this fascinating island and its people. There are many interesting museums in Ubud. Museum Puri Lukisan shows the history of art in this very arty Regency, as does Museum Rudana. The Agung Rai Museum of Art (The ARMA) is based on the personal collection of the Balinese entrepreneur, Agung Rai. 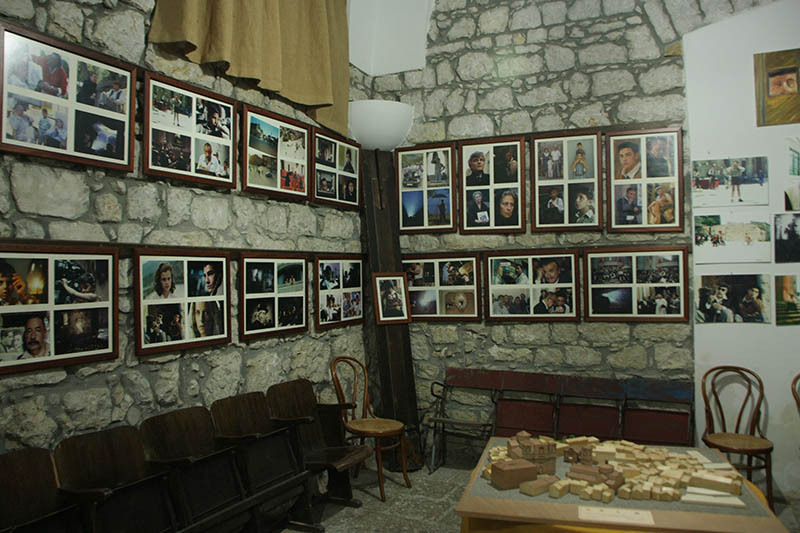 It is an interactive and working museum and home to many classes and events. Why not enjoy a private tour of The Blanco Renaissance Museum, Neka Museum, and visit Rumah Topeng Setiadharma Ubud. Follow with a visit to Tegenungan waterfall and coffee plantation. Latest prices here. Like massages in Bali, spa treatment are compulsory. You have been to yoga, had a massage, done some shopping, participating in some activities on a rainy day in Bali, and now it is time for you to spoil yourself. From holistic to aromatherapy massages, your choices are unlimited. You should be feeling very chilled by now, and very virtuous so why not watch the rain bucket down from one of the beach clubs in Bali. A cocktail or two is not out of line at Potato Head, or Ku De Ta, or Old Mans at Canggu. 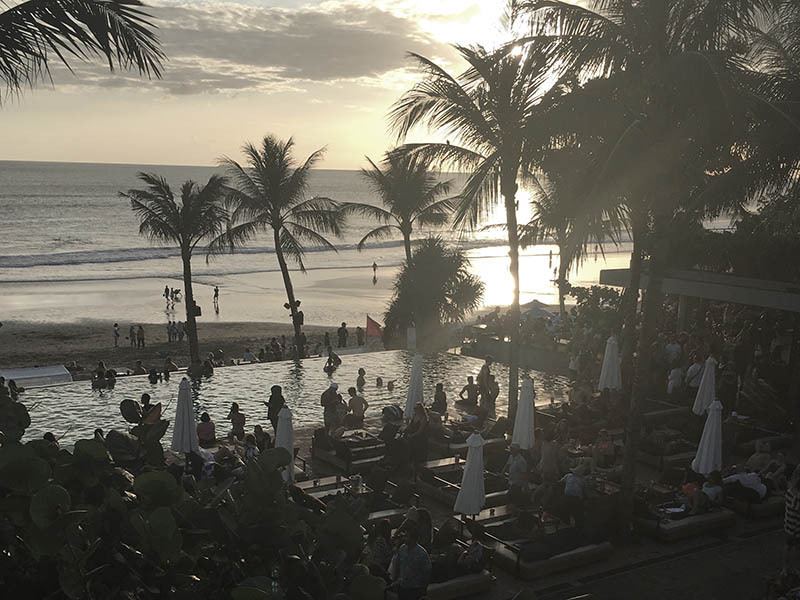 Go to BaliJoe Bar, one of the most iconic and most popular gay bars on the island, and a lot of fun for anyone and everyone. Listen to the music, eat some wonderful food, talk to new people, and realise that there are many Things to do in Bali When it Rains. Don’t forget to drop in and ask the Bali Tourism Board for their suggestions also for things to do on a rainy day in Bali, Indonesia. Wow. Planning our first trip to Bali and stumbled across your 54 Do’s and Dont’s. What a brilliant piece of writing. So refreshing to see something so honestly helpful and well and truly down to earth. I love the links and the humour. You are well and truly now a go-to for us. Thank you for writing these. Thanks so much Paul. Have a great time in Bali. We went in January last year and found that although it rained a lot at night, the days were mostly clear. We enjoyed shopping at Bali Collections in Nusa Dua; I also highly recommend the Sea Walk, which I blogged about here: https://www.middleagedmama.com.au/bali-sea-walker-experience/. Would love to go back!!! Bali is fun, rain or sun. I’ve been to Bali in the rain, and Darwin in the rain and FNQ in the rain and find it is always a relief. Not if you want to lay in the sun of course lol. 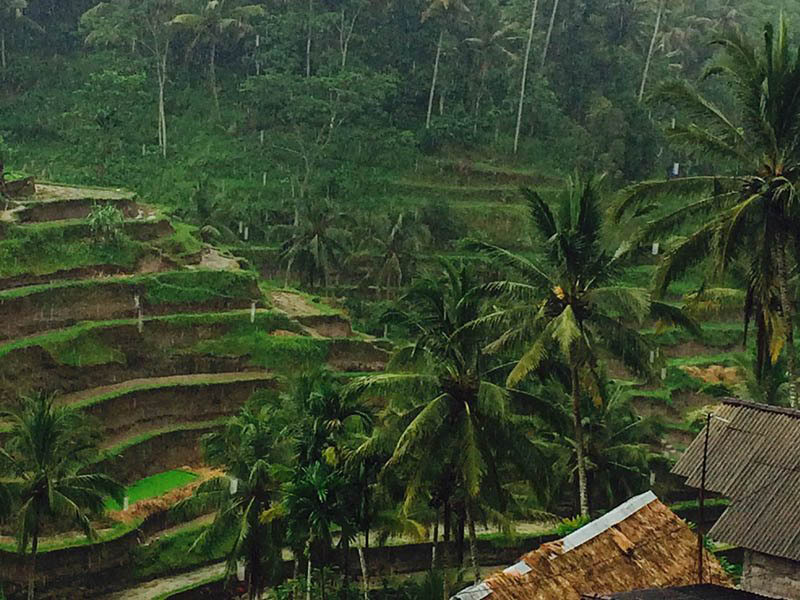 Loved reading your rainy days in Bali post. Thanks Jan, there are always things you can find to do in the rain. #11. Write a blog post! LOL, had to add it didn’t i.
I love all of these things. I’ve never been to Bali in the rainy season, as we like to go during surf season but think it would make for a wonderful change to get to know Bali during another time of the year. Massage and yoga are definitely two of my fave things to do there – anytime of the year.